With just I day to go we are delighted to be involved in the writers community and can’t wait to hear our wonderful speakers. Come to our convention tomorrow to rekindle your writing mojo. This could be the event that changes your writing life. Click here to register. This entry was posted in Uncategorized on July 29, 2016 by words2goinfo. Only 4 days to go and even more door prizes! One lucky attendee will take away a free personally autographed copy of “Let Angels Fly” by Noelle Clark – thanks Noelle! 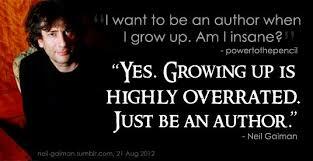 Here’s a great quote for all writers. This entry was posted in Uncategorized on July 26, 2016 by words2goinfo. Here’s another great door prize – 3 hours of free editing – thanks to Margie Riley. I can really recommend having a piece of your writing edited – it makes a big difference and now you can try it for free! This entry was posted in Uncategorized on July 25, 2016 by words2goinfo. 10 ( yes10! ) speakers ready to pass on tips for writers. Hebe de Souza presents Why write a novel? This entry was posted in Uncategorized and tagged brisbane writers group convention, Noelle Clark, Tania Joyce, write, writers group convention, writers groups conventions, writing group convention on July 23, 2016 by words2goinfo. Why Join a Writers Group? Getting involved with a writers’ group is a fantastic way to find support and assistance with your writing. It is a great opportunity to connect with like-minded people and receive valuable feedback on your writing. There are a broad range of writers groups in Queensland that serve various genres, locations and writers. Some writers’ groups operate as critique groups giving detailed feedback, others as a social opportunity to give one another support, motivation, and ideas. This entry was posted in Uncategorized and tagged brisbane writers group convention, writers group convention, writing group convention on July 17, 2016 by words2goinfo. Di Hill has written a great piece about the convention – thanks Di. This entry was posted in Uncategorized on July 14, 2016 by words2goinfo.